An invoice is a commercial document issued to a buyer by a seller, which refers to a sale transaction and includes the details of both buyer and seller, the date the invoice was created, the goods (products or services), their quantities, the agreed prices for the goods and the payment terms. Additional details that an invoice may include are discounts (if any were given), the mode of delivery, the date of shipment, and so on. To the seller, the invoice constitutes a sales invoice, while to the buyer, it constitutes a purchase invoice. In a way, invoices are to transactions what emails are to business communications. They serve as a means of communication that ensures transactions are being performed accurately, legally and in a timely manner. Unlike emails, however, invoices have been with us for several millennia! So a more accurate comparison is between eInvoices and emails, and written invoices and letters. You can take a look below at the “Invoices throughout History” section for more information regarding the history of invoices. Description of the goods purchased – Describing the product or service in basic terms (“smartphone”, “therapy session”) is fine, but to avoid confusion and other issues down the line, it is recommended to also include the model name and number of the goods (for example “iPhone 7” or “CBT”) and for products, also their inventory number. Terms of payment – These terms describe when the seller is to receive his payment. For example “net 30 days” means that the entire payment will be transferred within 30 days of issuing the invoice. Dates – It is extremely important to include two dates in the invoice: the invoice date, which is the date the invoice was created on and therefore indicated the day on which the goods were billed; and the due date, which is the date by which the payment must be received. Timesheet – An invoice used for hourly services, such as those given by lawyers, consultants and occasionally rental companies. The data for the invoice is pulled from a timesheet. Commercial invoice – This type of invoice is often used in international trade and consists of a customs declaration form. It describes the goods being shipped, the value of these goods, and the parties that are involved in the shipping transaction. It is used by customs to calculate tariffs. Credit memo – An invoice issued by the seller when the buyer returns the goods. It specifies the same or a lower amount than the invoice, so that the seller can either refund the buyer, or allow him to apply the credit memo to another invoice. 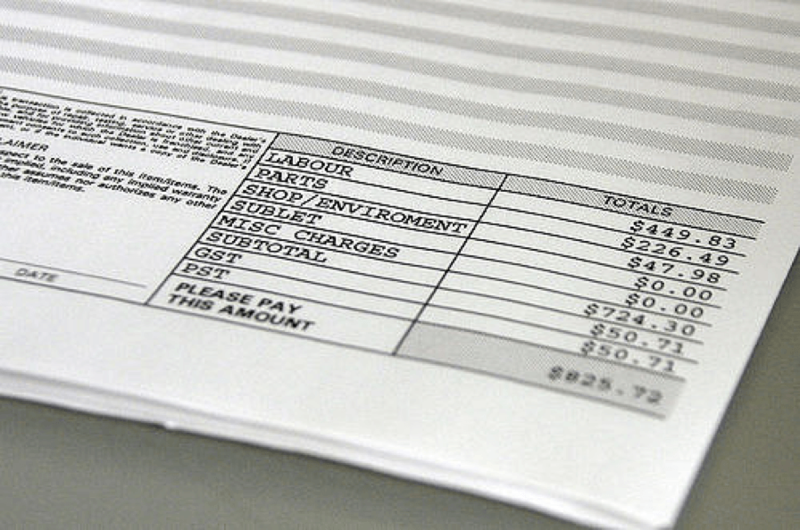 Debit memo – A document detailing the balance and the payment owed, issued in cases when a company short-pays the invoice or fails to pay it completely. Self-billing invoice – An invoice that is issued by the buyer to himself (for example, in the case that he has taken out goods from a vendor managed inventory stock). This invoice is treated by the seller as an account receivable, and by the buyer as an account payable.